Memorable Keepsake. Think names, dates, special phrases, & graphics. Actually playing the guitar. 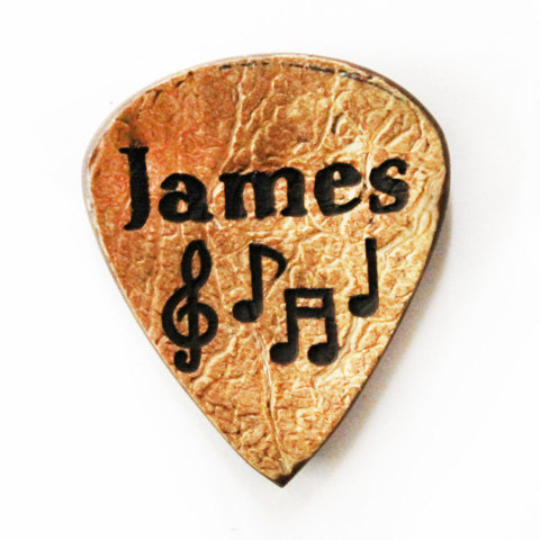 Although many people simply order these as a keepsake, they can also be used to play the guitar. The Notes are the Default Design along with the Name on the Front. If your name is too long for the pick we may ask that initials be engraved. A date may be engraved on the back.